2 figures: a chariot driver and Pharaoh, wearing his Khepresh—blue crown (royal headdress), two finely decorated horses, and the chariot. 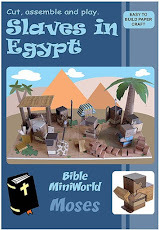 Perfect to enhance homeschooling studies of ancient history, these mini-figures are about 5 cm high and come with many removable accessories. 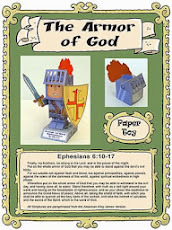 You can also print them in a larger size for a school display. 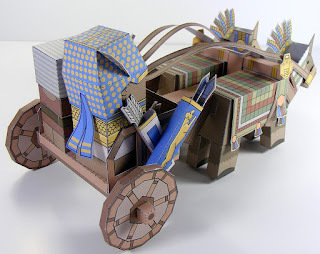 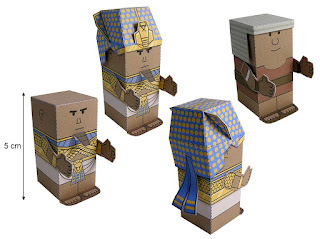 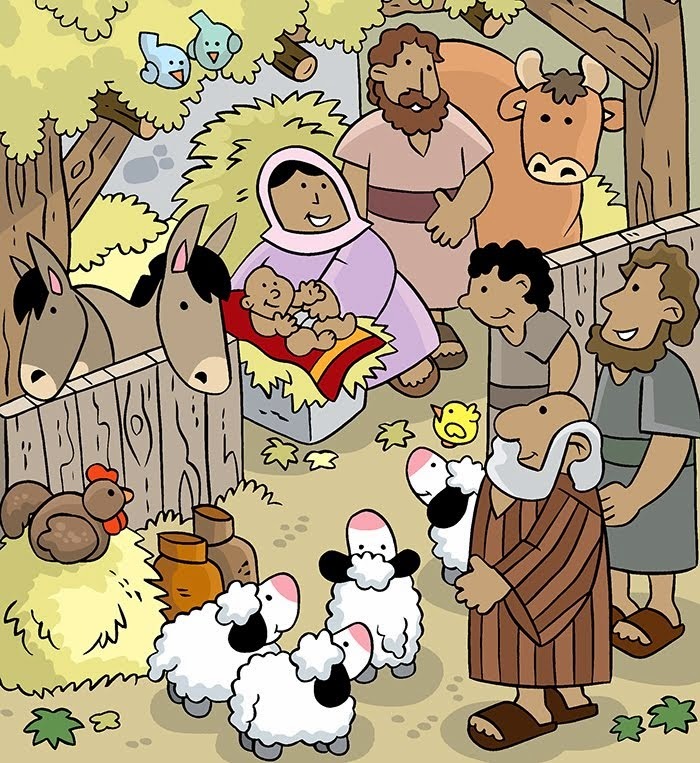 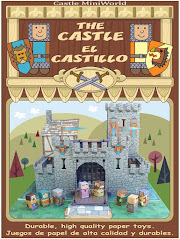 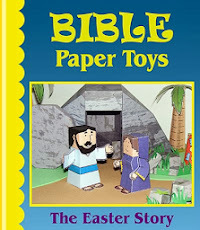 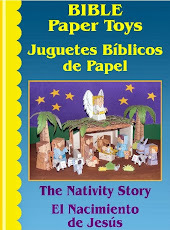 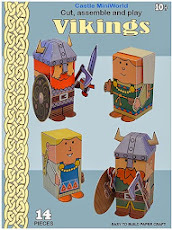 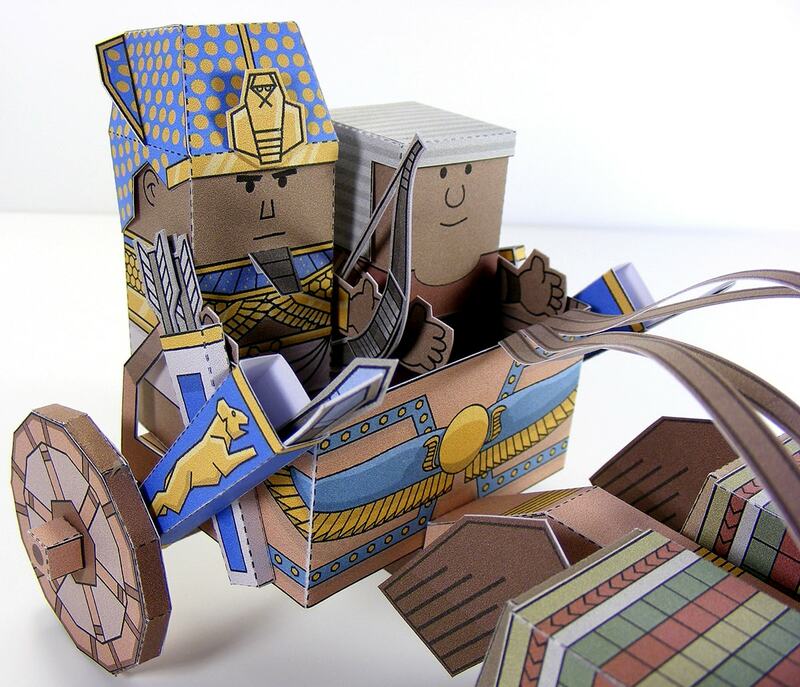 Easy to build paper craft, recommended for age 10, but once built, children younger can play with these figures. 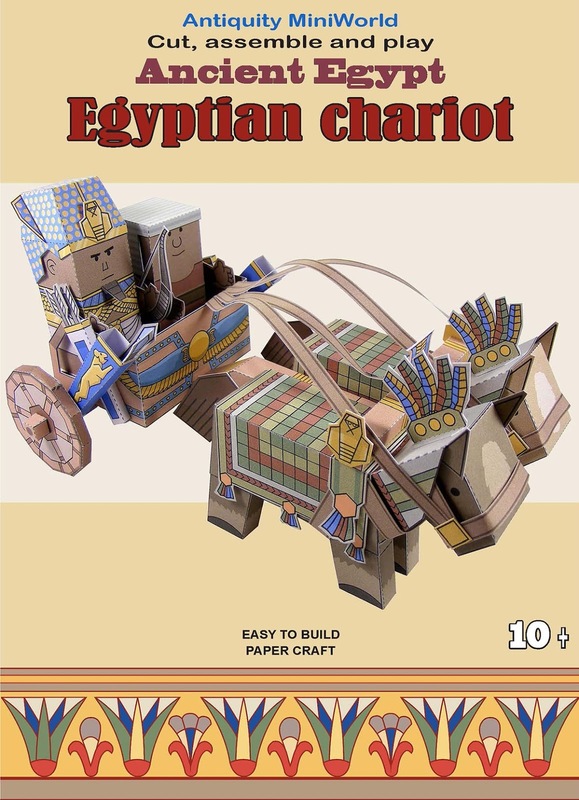 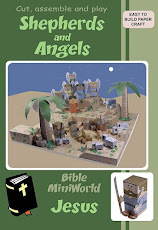 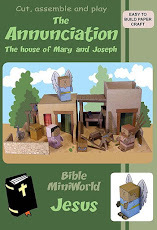 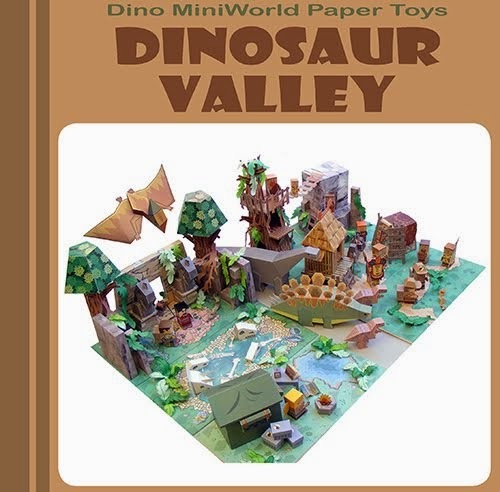 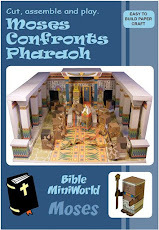 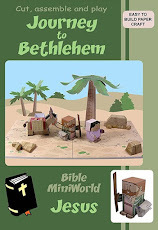 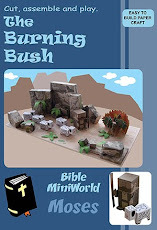 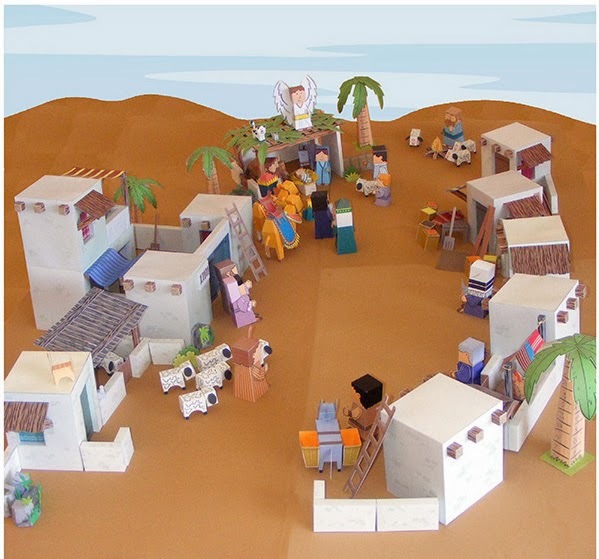 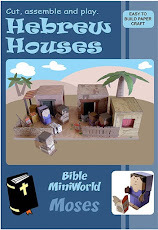 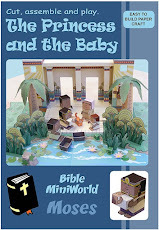 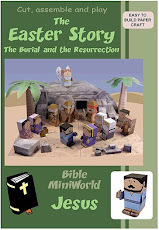 This Egyptian MiniWorld set is compatible with other MiniWorld sets (The Castle, The Dinosaur series, The Vikings, the medieval set and the Bible MiniWorld series). 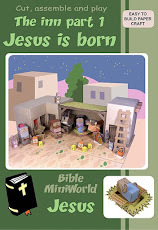 Check also my web site for additional parts or other sets as well as a variety of other projects to download and create with your family.